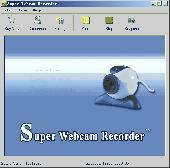 PCWin Note: Super Webcam Recorder 6.07 download version indexed from servers all over the world. There are inherent dangers in the use of any software available for download on the Internet. PCWin free download center makes no representations as to the content of Super Webcam Recorder version/build 6.07 is accurate, complete, virus free or do not infringe the rights of any third party. PCWin has not developed this software Super Webcam Recorder and in no way responsible for the use of the software and any damage done to your systems. You are solely responsible for adequate protection and backup of the data and equipment used in connection with using software Super Webcam Recorder. River Past Video Perspective - Adjust video aspect ratio with Letter Box (black strips are added) or Pan & Scan (the original video is slided). Converts from 3GPP/3GPP2, ASF, AVI, VCD DAT, DivX, DV, MKV, MOV, MP4,MPEG-1, OGM, RM/RMA, WMV, and Xvid to AVI, WMV, DivX, XviD, or DV. River Past Video Slice - Trim or split videos from 3GPP/3GPP2, ASF, AVI, DAT, DivX, DV, MOV, MP4, MPEG-1, RM/RAM, WMV, and Xvid to AVI, WMV, DivX, XviD, or DV. Frame accurate. Preview video to set the exact frame. Easy to use operations to set the trim and split timecode. 3herosoft 3GP Video Converter - 3herosoft 3GP Video Converter can convert most popular videos such as AVI, MPEG, WMV, DivX, XviD, MP4, MOV and RM to 3GP, 3G2 and MPEG-4 video format for Nokia, Motorola, BlackBerry, Sony Ericsson, Samsung and so on. dudu Zune Video Converter - dudu zune video converter is a totally and best video converter software which can convert the most popular video formats to to zune video file, such as avi, mov, wmv, divx, xvid, mp4 and rm to zune video format..
dudu PSP Video Converter - dudu psp video converter is a powerful and professional video converter software with can easily convert movies, videos and music for all version of psp or ps3. such as avi, mov, divx, xvid, mp4, mpeg, wmv and h.264 to psp movie Video format. ImTOO DVD Ripper Standard - ImTOO DVD Ripper Standard rips DVD to AVI, WMV, DivX, XviD, ASF, FLV, SWF videos, or MP3/WMA audios, which also allows you to split/compress files and change output parameters to output custom video files. Super Video Screen Recorder - Super Video Screen Recorder is a easy to use and powerfull video screen capture software for recording screen activities into standard avi video files. The file size is very small. You can record any part of the screen video. FunPhotor - ZeallSoft FunPhotor is fun and easy to use photo blending software.Put yourself, friends and family members on $100 bills! Swap faces and bodies! Change yourself into an astronaut or a personality on a poster. Change photos for practical jokes! Super Screen Capture - Super Screen Capture is a screen capture, screen record and audio record software. You can capture screen to image, recording screen to video, record audio from microphone. Please visit zeallsoft.com to learn more. Magic Mirror - ZeallSoft Magic Mirror is funny and easy to use photo distorting software. You can distorting your friend or family face and producing surreal effects! These help to disfigure and distort any ordinary image beyond recognition. Super Digital Audio Recorder - Super Digital Audio Recorder is a powerful sound recorder from any digital resource. Enables you to record sound, played back through your sound card and any other sound sources like microphone , midi, vcr, microphone, Internet audio streaming. Zeallsoft Audio CD Burner - Zeallsoft Audio CD Burneris an audio CD-burning software that can create Audio CD from your MP3/WMA/AC3/WAV files. The customized Audio CD can be played with your home Hi-Fi or car CD palyer. Zeallsoft Audio CD Ripper - Zeallsoft Audio CD Ripper is versatile CD ripping, CD to MP3 converter software and audio ripper. It helps you rip CD as well as convert audio file to MP3, WAV, WMA, APE, VQF, OGG, MP2 etc. Super Free Screen Capture - Super Free Screen Capture is an all-in-one software for screen capture. You can capture screen in many ways, including full screen capture, region capture, window capture, scroll capture, directx capture, video screen capture, sound record and etc. Super Screen Record - Super Screen Recorder is a easy to use and powerfull video screen capture software for recording screen activities into standard avi video files. The file size is very small. You can record any part of the screen video.